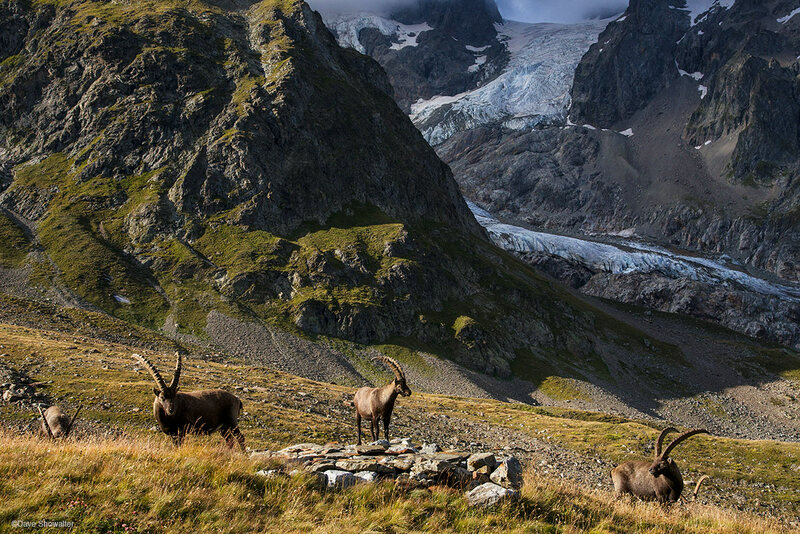 A herd of male alpine ibex graze beneath the Glacier de la Lee Blanch high in the Italian Alps. We hiked above Rifugio Elisabetta and were thrilled to share the alpine tundra with these majestic creatures that were nearly hunted to extinction in the 19th century. Photo © copyright by Dave Showalter.